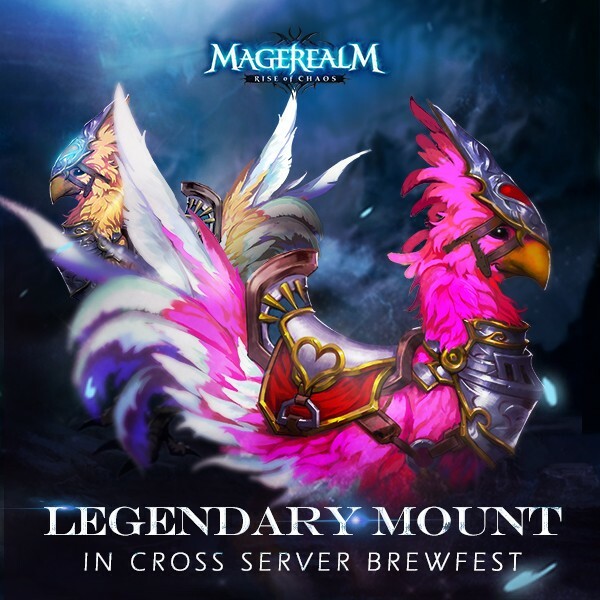 Magerealm_The most rewarding event: Cross Server Brewfest! Magerealm's most rewarding event: Cross Server Brewfest is here once more! Up to hundreds of players can gain the all new Legendary Mount, and other awesome rewards! February 26th, gather for a sumptuous feast!